Can I just tell you guys that I've had a hectic week? Over the weekend, Joel and I ran a 5k and I managed to resprain my ankle...you guys probably didn't know that I sprained my ankle in February, did you? I did. I forgot to mention that previously. Yeah, well apparently I ran a little too much, a little too soon...and it's resprained. There's no walking going on here. Only crutches. Bleh. A couple days later I managed to get the cold that Cheese had. So then I had to take care of two kids in the midst of my sickness and sprained ankle. This week has been trialing, to say the least. Bah! However, I get my camera back! Hooray! (A Small beautiful moment in the midst of many chaotic ones this week.) 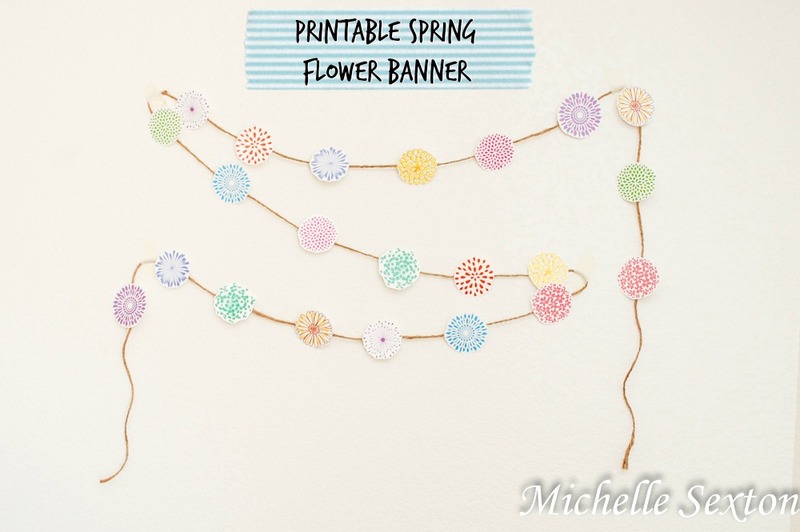 So to celebrate, I have a fun Printable Spring Flower Banner to share with you guys! (And also because I'm dying to do creative things). 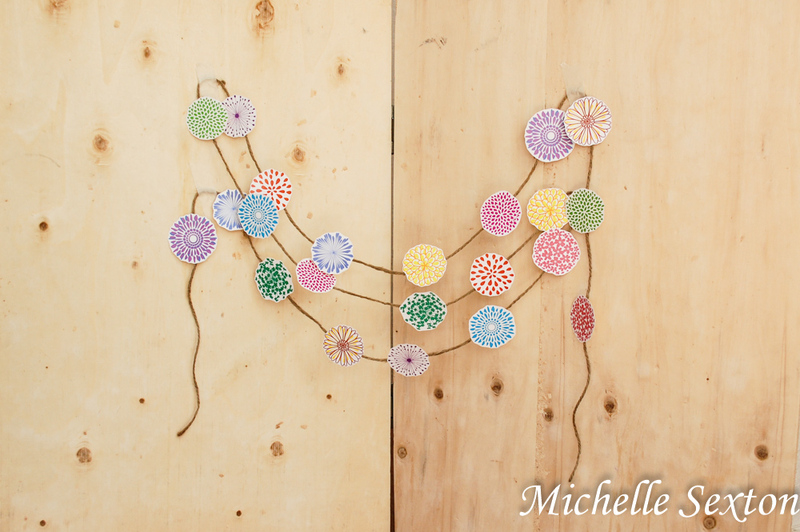 Here's a sweet, colorful and festive way to celebrate the arrival of Spring! This banner is easy to make. 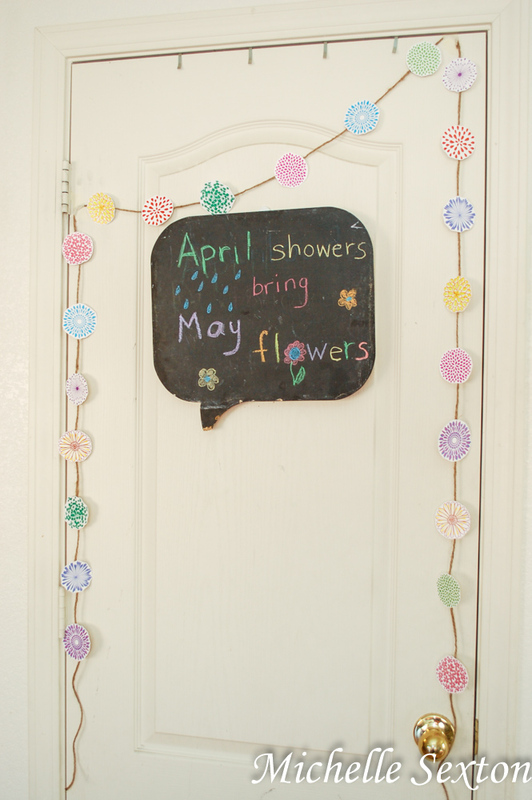 Simply print out the Spring Flower Banner onto card stock, cut out the flowers, and tape the backs to a string of twine. 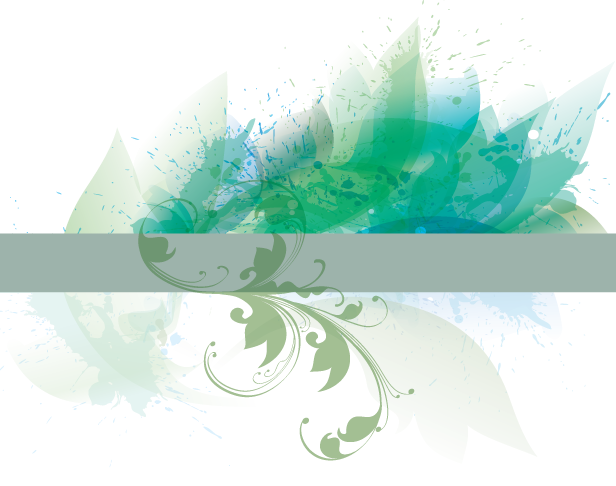 Use this banner and decorate to your heart's desire. Aww this is adorable. I love the colors. Hello from Made by You Mondays. Thanks so much! Great garland! 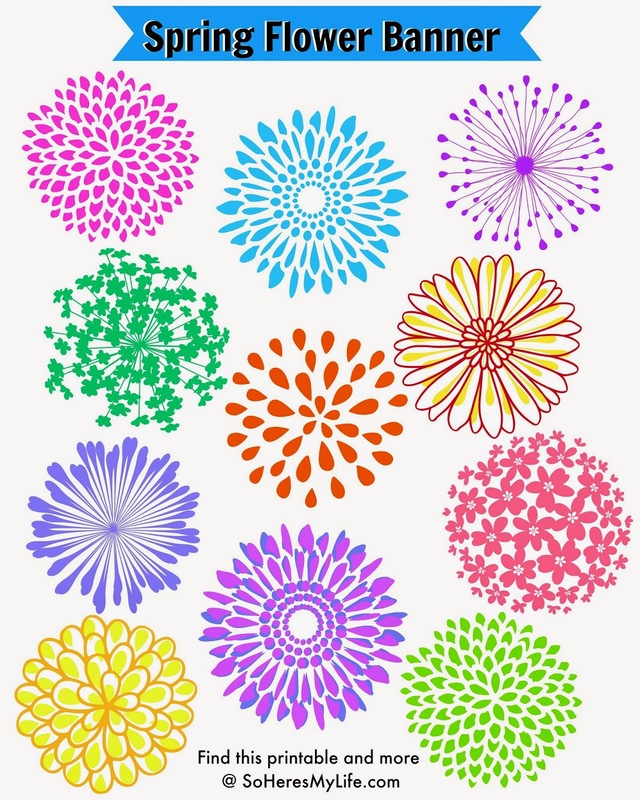 These look like very cool printables... thinking that they would also make great little embellishments for scrapbook pages or cards, especially if they were layered up with some other small pieces!